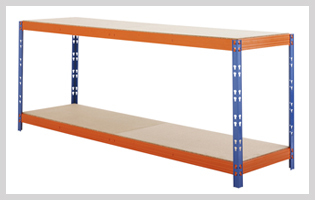 We have designed and developed a cost-effective range of adjustable height workstation. This adjustable height facilitates for variety of tasks and also precisely matches for individual adjustments. Easy and simple system of changing height makes it ideal workstation for variety of applications. This adjustable height workstation accommodates standing and sitting condition of operator. It is provided with crank or pneumatic drive for the height adjustment. It is also available with 30° angled top surfaces. It is also provided with adjustable foot rest and bin holders. Our workstations are passed through stringent testing for various load and other functions. We possess latest fabricating facilities. Combination of modern technology and sincere efforts of our skilled professionals made desired outcome. We also provide complete customized solution about the all kinds of workstations. Robust construction of workstation made it ideal for many activities like packing, mail sorting and also suitable for product line. Brilliantly executed ergonomic design leads the comfortable day-to-day operations.